Apple, Inc. (NASDAQ: APPL) is almost set to take the center stage on Tuesday, and reveal the much-awaited line of products and we wanted to collect all the rumors we have been hit with until now. Not only we are excited about all new next generation Apple iPhone 6; the company is also expected to introduce first ever Apple iWatch, a wearable running iOS, during this launch event. Kicking off first with the Apple iPhone 6, the device seems to be much thinner and is expected to come in two screen sizes — 4.5 and 5.6 inches. Apple has never made any phablet but is supposedly doing this time. As the rumors suggest, the Apple iPhone 6 is going to have a sapphire crystal glass, which means there is no chance that you can put scratch on it, or even break it by dropping it accidentally. Along with the aluminium body, the screen now is also going to add a lot to the device’s robustness and endurance. The design for the new Apple iPhone 6 has changed significantly this time. The device is now going to have curved edges, with thin rectangular volume control button and power button shifted to the lateral side of the edges. The curved and thinner design puts the user in the control with a better grip over the phone. It is supposedly thinner and lighter than its predecessor, iPhone 5S. However, the big news here is that the Apple has introduced an NFC compatibility in the device, which will allow the users to do the hot payments at the NFC enabled point of sales, connect to the various fitness tracking devices and do a lot more. 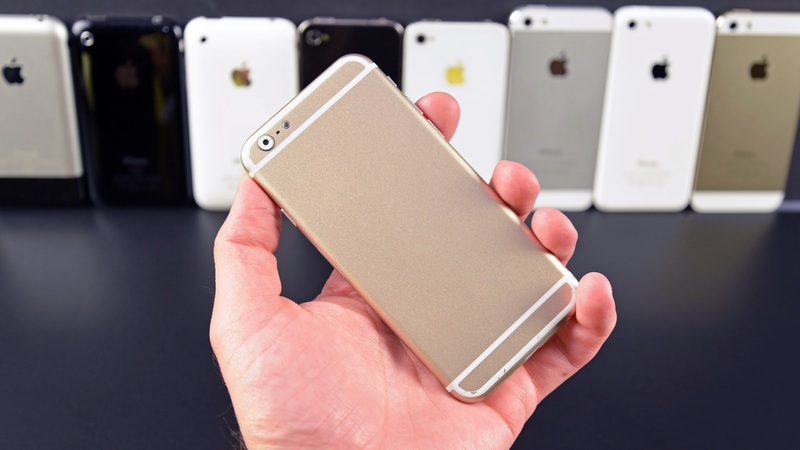 Also, Apple iPhone 6 will be offering a storage space of 128GB for its customers. However, a few rumors surfaced about the Apple iPhone 6 reflected that the device is going to cost few more hundred bucks, than it is usually. We are left with less than 24 hrs for Apple to put his latest innovation in-front the world, and we will how far it goes. Apple will stream its launch event live on the Internet, and can be stream here on September 9 at 10 a.m. PDT. Kindly note, live streaming video requires Safari 5.1.10 or later on OS X v10.6.8 or later; Safari on iOS 6.0 or later. Streaming via Apple TV requires second- or third-generation Apple TV with software 6.2 or later.